OUTSIDE KITCHEN ** DUAL A/C&apos;S ** BATH AND 1/2! GREY HIGH GLOSS ** (4) SLIDES ** DUAL POWER AWNINGS! Introducing the new 2018 Jayco Eagle 347BHOK (4) slide bunk house 5th wheel! Not only is the floor plan pretty new for Jayco, they also revamped the entire coach with the Grey high gloss exterior, new graphics, Cherry cabinetry, the exterior kitchen are now larger, they use real porcelain foot flush toilets, 5/8" tongue and groove plywood for flooring, not 1/2 plywood like most manufacturers and so much more! This floor plan is definitely going to be a hit for Jayco! The 347BHOK floor plan has the optional King bed slide in the master bedroom with a huge front walk in wardrobe, it&apos;s been prepped for a washer and dryer and it has a large dresser at the foot of the bed along with the optional 32" master bedroom TV. It has a very nice side aisle bathroom with an adult size walk in shower with built in seat, a pull glass enclosure, a foot flush toilet, sink with underneath storage and a lighted medicine cabinet all in one room for privacy! It has a very spacious living area as well because of the (2) opposing slide outs. The slide on the off door side has a full kitchen with a (3) burner recessed stove top with glass cover, an oven, a microwave oven with an exhaust hood and the new 21 cu. ft. residential refer with an outside ice and water dispenser and all the appliances are stainless steel! The slide on the door side has the (2) super nice Thomas Payne recliners and the over sized booth dinette. This 5th wheel also has an Island bar with the farm house style sink with pull out sprayer, solid surface counter tops and underneath storage! In the rear is a huge bunk room with a slide on the off door side has the super cool gaming chairs that the kids will absolutely love with a flip up bunk bed above and across from that, is the entertainment center/wardrobe with a loft bed above. It&apos;s very roomy and the kids will love their privacy, not to mention their own 1/2 bathroom!! It&apos;s a super sharp 5th wheel with features for the entire family! Here&apos;s a list of options. The interior color is Java and again, this Jayco Eagle does have the Grey high gloss sidewalls, the CVP and Luxury packages which contain a TON of very nice features! Additional options are, the auto leveling system, dual 15K BTU A/C package, the rear gaming chairs, a King bed, auto leveling system, the 21 cu ft residential refer with Ice maker and water dispenser, frameless windows, the Mor Ryde rubber pin box, the exterior kitchen, and (4) TV&apos;s! One in the master bedroom, one in the living room, the bunk room and the exterior kitchen!! If we can help or answer any questions, please feel free to call us, 888-299-8565 and ask for sales! 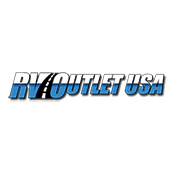 You can also email us at #####@####.### and our direct website is RV007(dot)COM. Please keep in mind we have great financing and we offer our customers huge discounts on 5th wheel hitches, parts and accessories! Give us a call....we will save you thousands!